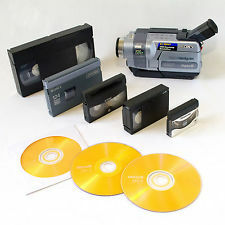 How many of us have boxes of VHS, Beta, High 8, Super 8, Mini DV or other camcorder tapes laying around with all of our wonderful vacation or other memories on them? We always intended to convert them and organize them and make wonderful, edited movies out of them to share with our relatives and friends. Most of us never found the time to convert them and now you may not have the ability. Allow us to take all of those old tapes and convert them to DVD for you so you can share these memories before they are lost forever. 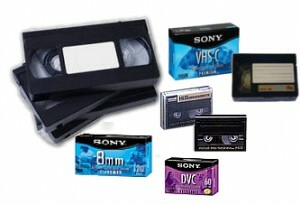 $15.00 per tape to DVD or other digital media. Additional duplicate DVD copies are $5.00 each.